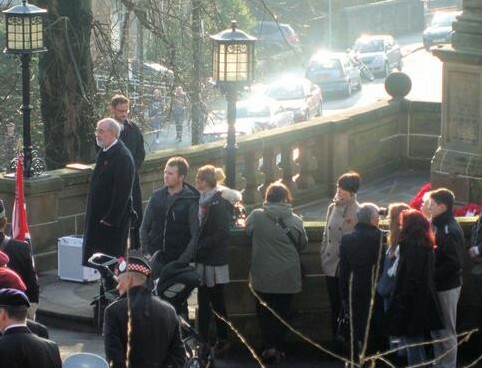 The Hammermen and Skinners were both represented at the Remembrance Sunday ceremony. Both Deacons and nine members of the Hammermen attended the Church of the Holy Rude service. 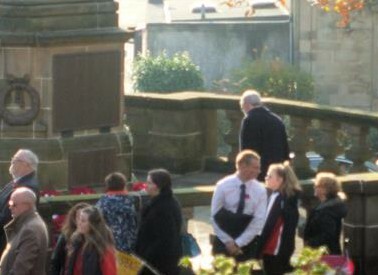 They then walked down to the refurbished war memorial where both Deacons laid wreaths on behalf of their respective trades. 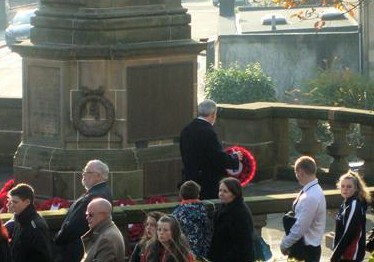 Pictures below show Deacon Stuart Campbell of the Incorporation of Hammermen laying their wreath. After the wreath laying ceremony, the Hammermen joined other guests for a reception in the Municiple Buildings courtesy of Stirling Council. 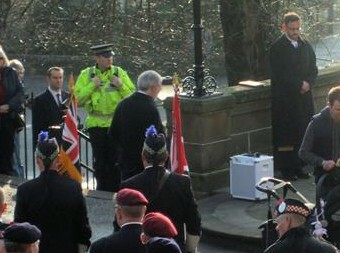 This entry was posted in Uncategorized and tagged Holy Rude, Remembrance Sunday, Skinners, Stirling Council. Bookmark the permalink.